This week has seen a Spring flurry of kiwi chicks all over the Kiwi Coast. The first eggs of the season have hatched, bringing sweet relief to the kiwi “Dad’s” who have been sitting tight incubating for three months! 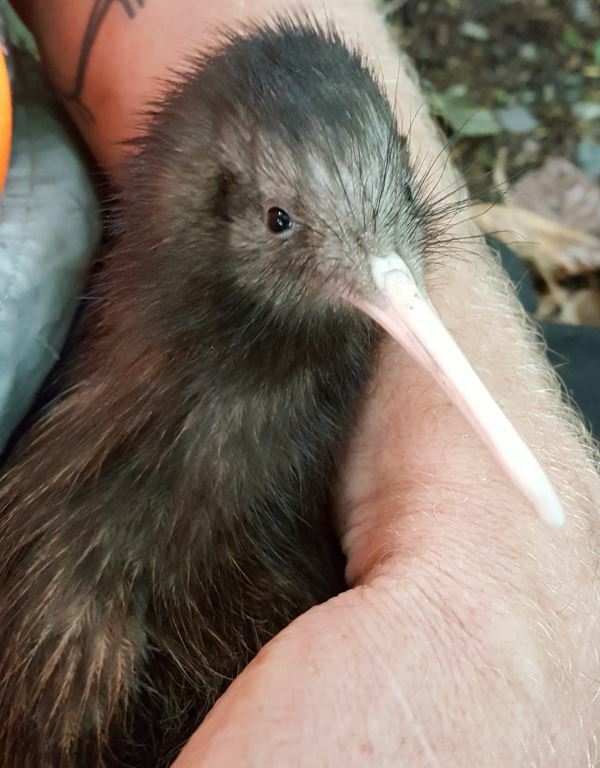 A number of groups and projects who monitor their kiwi via telemetry equipment and trail cams have confirmed kiwi chicks this week, including Backyard Kiwi, Tanekaha Community Pest Control Area, Whangarei Kiwi Sanctuary and Pataua North Landcare Group. The kiwi chick at Pataua North is especially significant as it is possibly the first kiwi chick to hatch in the area for over 20 years. Pataua North Landcare carried out a kiwi translocation in 2017 after kiwi had been lost from the area. This is the first chick produced by one of the translocated kiwi. The kiwi Dad’s will be relieved to finish incubation duties after their 90 night vigil. 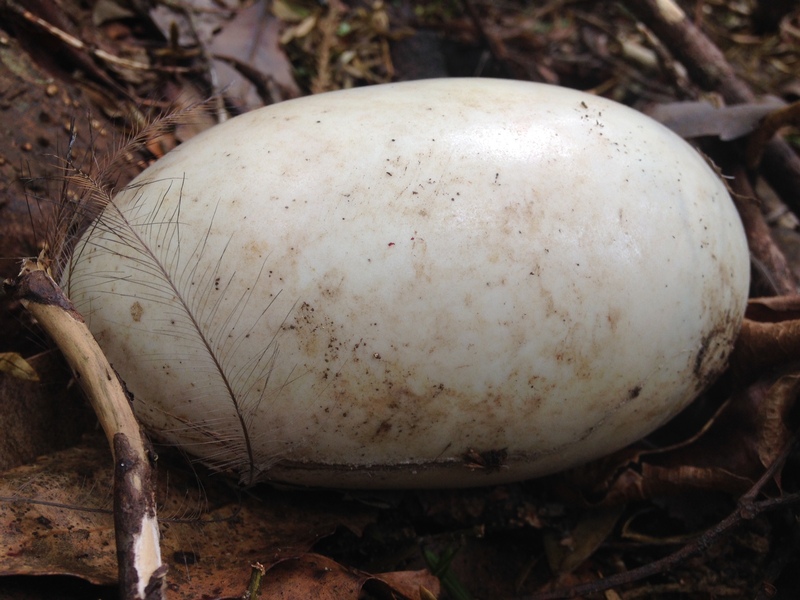 Incubation duties are not shared by Northland brown kiwi parents – with the mum departing the nesting burrow after depositing her large egg(s) – fair enough too, since she has just laid the biggest egg per body size of any bird in the world! It’s hard work for the soon-to-be Dad’s too though. Kiwi are usually active for around 11 – 12 hours each night – feeding, breeding and maintaining their territories. Transmitter data shows us that when nesting however, the activity of a male kiwi drops to just 1 – 3 hours each night. He’s literally taking time out to grab a quick bite, and then it’s back on the job. Three months is a long time for kiwi dad’s sit tight in their nesting burrow, and young dad’s sometimes take a couple of attempts to get it right – sometimes abandoning nests after around 50 days if they’re new to the job! Northland brown kiwi chicks only remain in the nesting burrow for around 10-25 days. They are never fed by their parents, but hatch with enough rich egg yolk in their bellies to last them for 5 – 10 days. Kiwi chicks are quite independent and unlike many other birds, look like a miniature version of an adult kiwi, with similar looking feathers. Until their bills are strong enough to probe holes into the ground, they forage in the leaf litter on the ground surface. The young chicks are especially vulnerable to predators as sometimes they forage during the day as well as at night to get enough food. This makes them easy prey for predators such as cats and stoats. In unmanaged areas where there is no pest control, stoats kill 95% of kiwi chicks before they reach one year old. The good news though, is that at about 1 year old, most juvenile kiwi have grown to weigh around 1kg and are big and strong enough to fight off the average stoat. Now they just have to keep clear of dogs, ferrets and feral cats, work on establishing their own territory and find a mate…. To follow the lives and adventures, nesting attempts and wanderings of some of the monitored kiwi on the Kiwi Coast, join the Follow A Kiwi sponsorship program for $10/month and you’ll get info, photos and event invites first.